Is it a schleuter or McCord? Schlueter 01A from first batch. I need to update the list. More pics on the topic on here if you type in Schlueter 01A. It was a lucky find. Had the helmet authenticated already so im just sharing the low batch number. All i collect in M1s are pretty much Schlueters. Hi. I know it's a "rough" configuration chart but was wondering why certain numbers are not present. I myself have Schlueter helmets # 524A, #534A and 542A, all rear seams no chinstraps. I also have a #216A front seam but not followed by an 8 as the chart lists. I created the chart by observing original examples shared on forums, ebay listings, google image results, etc. If you or anyone else did not share those examples, how am I supposed to know enough information to add them to the chart? Additionally, this chart only includes helmets that still retain their original chinstraps, whereas your examples are all lacking. Did you read the initial post? "...[I]f you have a helmet that meets the criteria and is not already on the chart, please by all means post your findings." Yes, I was actually adding those numbers for you to use perhaps on a future new list. I also have a fixed bail with stamp #2?5A. The number after the 2 did not fully come out but it shows a loop on top for a partial number which could be a 2,3,6,8,9 or 0. Hope this helps. I have a Schlueter heat stamp 522A with original OD7 chinstraps. It is rear seam, swivel bail with a Manganese rim. The buckle is a blackened flat brass type and the J hook is also brass with flat cut ends. I've got one with a heat stamp of 517A. Manganese rim, rear seam, swivel bail, with OD #7 chinstraps, and flat blackened steel hardware. Doesn't add any new information but I figured I'd share since it was one of the missing lot numbers. I have a Schlueter Shell with a pre Vietnam war liner. The shell is a rear seam swivel bail with OD 7 chin straps and has the number 49?A. The unknown number could either be a 3,8,6, or 0 can't really tell. I think that I can fill one of the empty spaces in the list of late war Schlueters. A recent pick up from a friend. Rear seam, swivel bails with T1 chinstraps. 466A. Oops. Just re-read the entire thread and saw that the list is only for those M1's with the original chinstraps. Schleuter and I realize how stupid that was for me to say as that heat stamp number was used many times when production began. That one belonged to an eBay seller by the name man_of_java. I found his helmet through worthpoint.com, however the photo of the lot number was no longer available, so I ended up messaging him to see if he still had it on file. Thankfully he did! Was just wondering if anybody knew where this helmet is today and who has the 10A? Thank you. 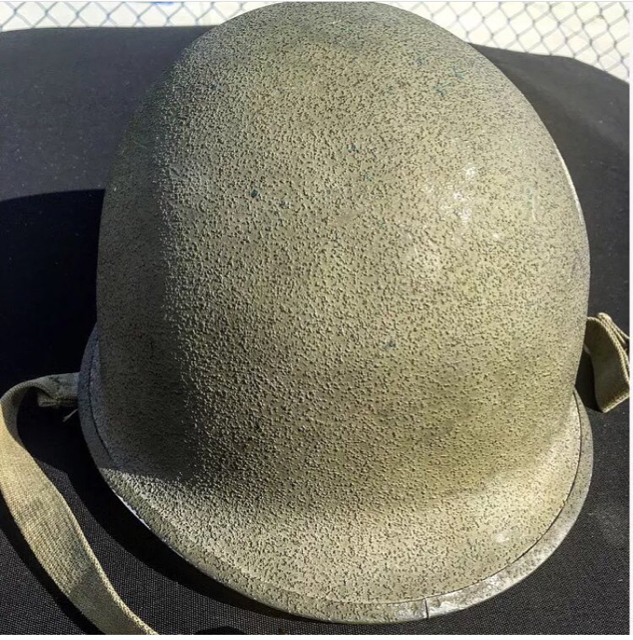 I am asking because I thought I saw it go up for sale recently but I am not sure if the helmet I saw was a Schlueter or a McCord. Thanks again.